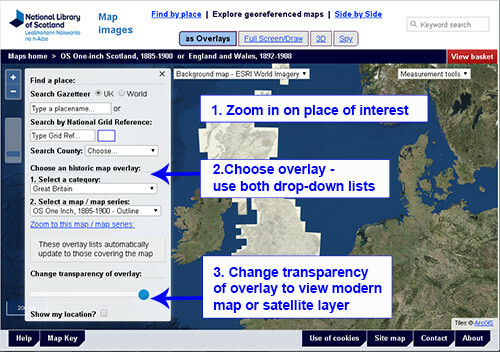 This application allows you to view selected georeferenced maps as overlays. Several of these Ordnance Survey series have been digitised for the Library by a third party. 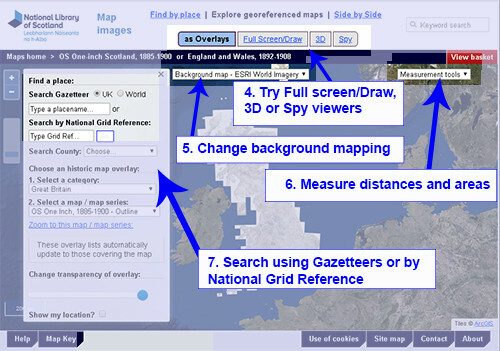 Use of these digitised maps for commercial purposes is currently restricted by contract. These restrictions cover the re-use of copies and extracts, as well as commercial use directly through our websites (Further information). Click the cross (top right) to close this window. Hold [Alt] and [Shift] keys, and select (drag cursor) to rotate. Hold [Shift] and click on map to add/move marker.